OUR LANDOWNERS: Please respect all landowners wishes while riding. Snowmobilers in Maine are the guests of Maine landowners who allow access. It is every snowmobiler's responsibility to protect that access by acting responsibly. and endanger themselves and the employees operating vehicles on those roads. Do not ride on these plowed roads, and do not park your vehicles and trailers on these roads. STAY OFF THE BLUEBERRY BARRENS AND OTHER CROPLAND: Snowmobilers who illegally ride on blueberry barrens or other cropland are creating problems for the landowners, potential damage to their crops and threatening recreational access for everyone. Stay on marked trails. BORDER CROSSINGS: Increased concern and security at our borders calls for strict attention to the law. For information about crossing our border with Canada, see the Border Guide supplied by the United States Border Patrol. (.pdf format, viewed using Adobe Acrobat Reader - a free download ). ATVs and other motorized vehicles: It is against the law to operate an ATV (or a dune buggy, 4 wheel drive vehicle, motorcycle or any other motor vehicle) on a snowmobile trail funded by the Club/Municipal grant program at any time of the year, unless the landowners have granted permission to do so. WHEN CROSSING RAILROAD TRACKS be careful not to spin snow onto the tracks. Over time this snow builds up creating a ramping effect that has caused train derailment. These rail lines are privately owned and can be closed, which would fracture the trail system. Stop and look both ways at all railroad crossings. After a spectacular, long and snowy season here in Maine the fat lady has hit the high notes for grooming ops. No reports have been submitted to me for over a week - so I'm packing it in, as well. Thank you all, have a great off season. Trail Reports are provided to the public courtesy of the members of the Maine Snowmobile Association. Reports are accepted from MSA family and business members, groomers/projects. Please include your name and the name of your MSA club when submitting the report. If you post trail conditions on your MSA club or supporting business web site and wish to have your updates posted and linked from this page, drop us an email with your request. Please let us know when the report on your site has been updated. Reports reflect observations of MSA family and business members who clear, sign, groom and ride the trails of Maine. 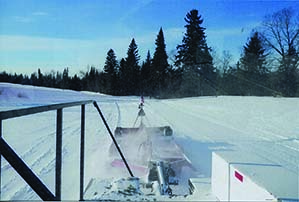 Local chambers of commerce, businesses and snowmobile clubs are a good source for additional information on trails in their area. Photo by Sue Maynard - The groomed trail left behind by the drag - Chapman Ridge Runners, Trail #74. Aroostook County : NOTE: Please view the full report with more area details and social events at the Caribou Rec web site. Kokadjo:: Kokadjo Roach Riders web site. View site for reports on individual trails. Jackman-Moose River:: Jackman Moose River Region Chamber of Commerce web site Visit site for reports of individual trails. 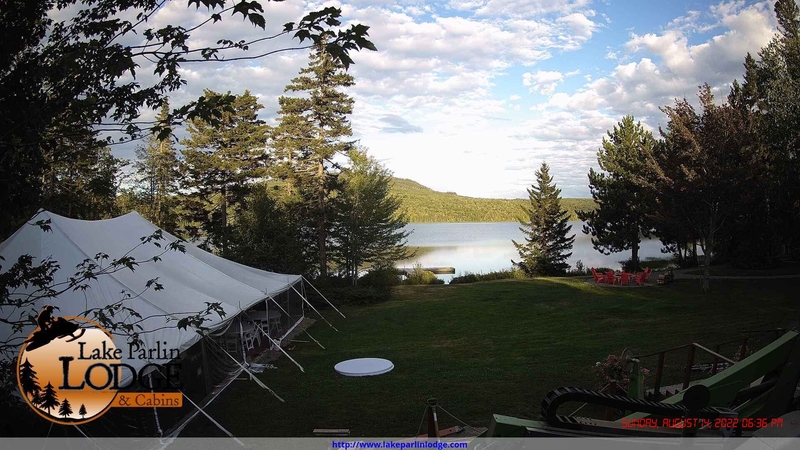 Rangeley:: Rangeley Lakes SC Facebook pageor club web site: Rangeley Lakes SC. Sebago :: Sebago Branch Duckers Facebook page. Newport :: Sebasticook Valley SC Facebook page. Kingfield :: Sno-Wanderers Club of Kingfield Facebook page. Belgrade:: Belgrade Draggin Masters web site. Lyman:: Lyman SC, Facebook page "